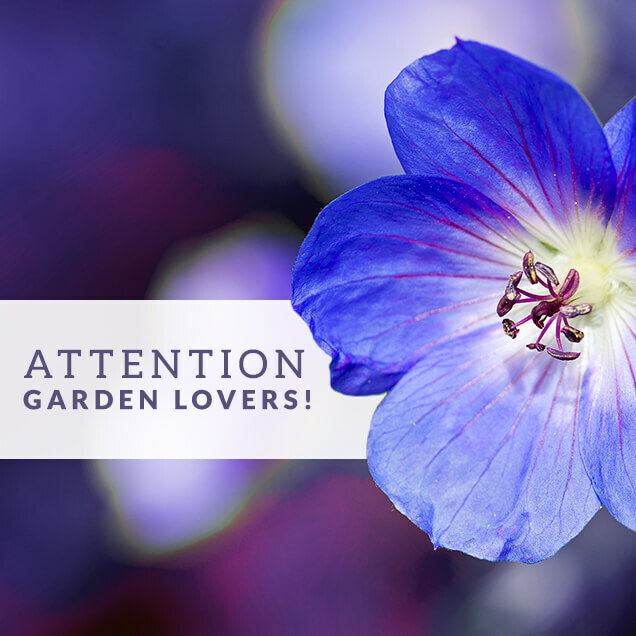 Rozanne is a hardy geranium flower, easy to grow anywhere. She was brought to market in the UK by Bressingham Gardens. 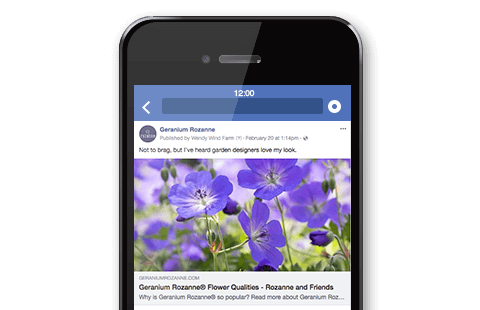 They needed us to build brand awareness for Geranium Rozanne - beginning in the UK, then expanding to the US. WindFarm's digital marketing strategy for Geranium Rozanne focused on integrating two distinct marketing programs - the cornerstone to success for our clients: Inbound Marketing that provides long-term, sustainable online growth and Social Media Marketing that accelerates the results of Inbound via targeted social advertising. We gave Rozanne a fun, unique voice by personifying the flower as her own personality, and started promoting ‘her’. 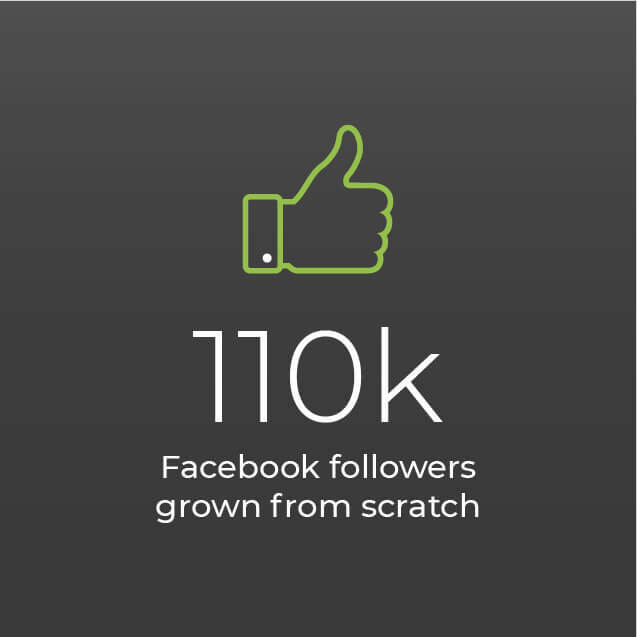 Those efforts combined with developing an optimized website and using inbound content strategy led to explosive brand growth, with over 477% increase in website traffic after our first year as well as growing Facebook fans to over 110,000 in 2017, making her the most popular flower on Facebook. 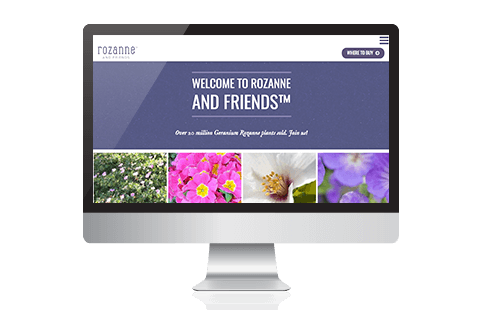 WindFarm developed a new website and SEO/SEM program as the brand was modified to Rozanne & Friends, to bring awareness to more perennial varieties. The updated, dynamic and fully optimized website featured engaging content about the brand and varieties. The new SEO program included migrating the website to more SEO-friendly HTTPS, performing keyword research, optimizing metadata, and performing on-page optimizations to boost speed and user experience. Website and SEO improvements resulted in explosive traffic growth - over 300% increase over the previous year and significant increases in visibility, with multiple keywords ranking in the top 5. 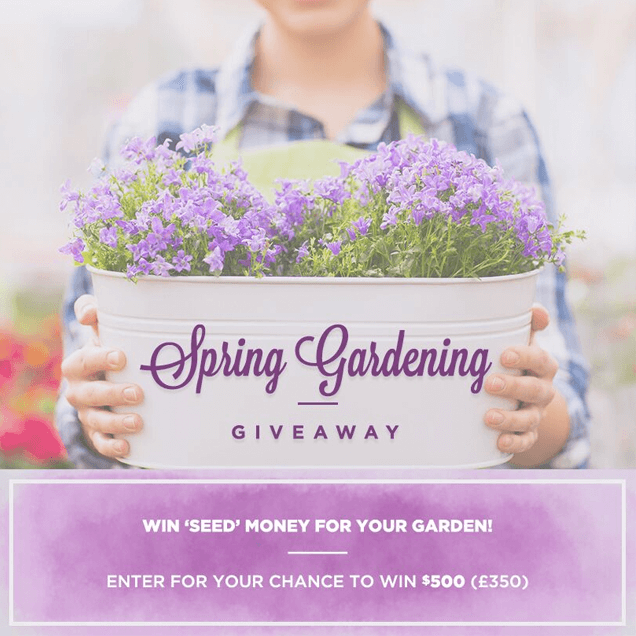 WindFarm developed a blog strategy that attracted modern consumers in order to renew interest in gardening and to connect with Geranium Rozanne. We produced and optimized multiple blog posts regularly and used social media and email marketing to promote these posts. By promoting relevant posts to an already engaged social media audience, website traffic well...bloomed. 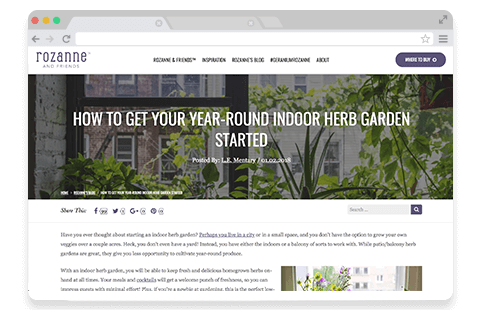 In 2017 alone, Geranium Rozanne experienced over 64% increase in social traffic to the blog. 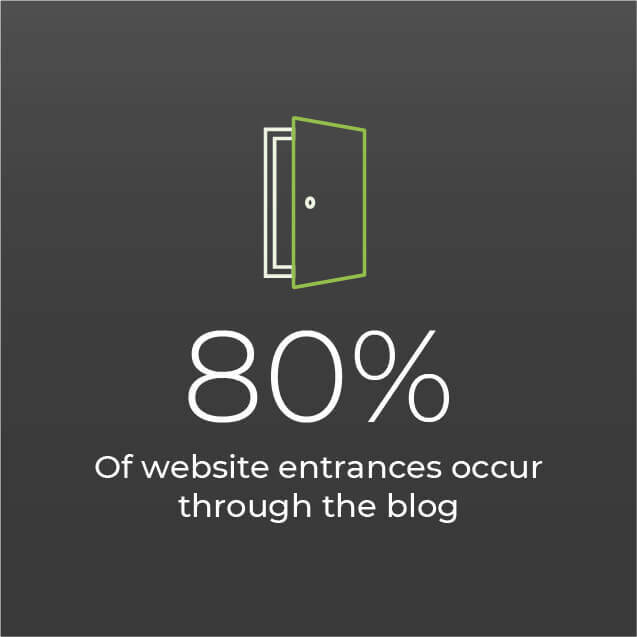 Blog post visits accounted for almost 75% of all page views on the site and almost 80% of website entrances occurred through the blog. WindFarm transformed Geranium Rozanne into a living persona and voice that connected with modern consumers. Her social media presence became a powerful platform for consumers to engage with a traditional horticultural brand, in a new and meaningful way. Our social media strategy included content for social channels, social media giveaways, and paid social ad campaigns. 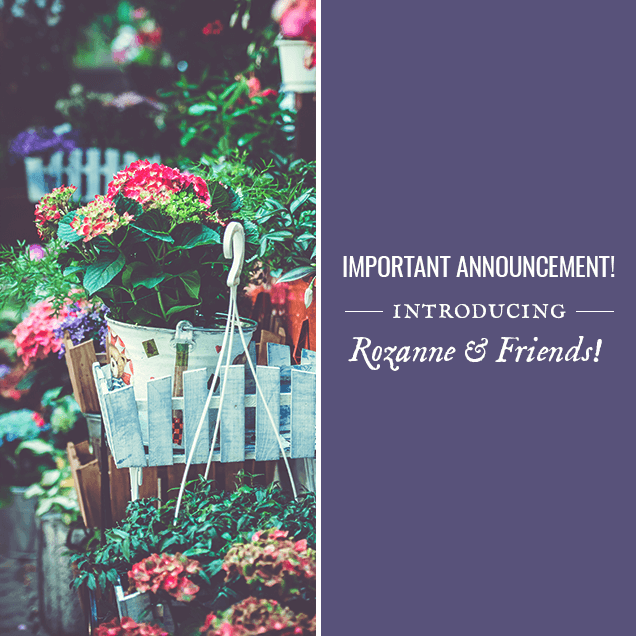 The growth and engagement of Geranium Rozanne’s social community has been nothing short of stunning. Her popularity continues to grow, with over 100,000 Facebook fans from the shores of California to the royal gardens of England and beyond.